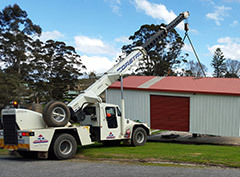 Coastal Cranes Albany, We Can Help Lift Anything! 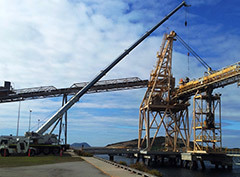 Since 1993 Coastal Cranes has worked to create strong relationships throughout Albany and the Great Southern Region. We take pride in providing a high level of customer service. We’d like to thank our clients for their continued support and welcome new clients to Coastal Cranes Albany. We look forward to providing quality service for many years to come. AND HELPFUL ADVICE ON CHOOSING THE RIGHT CRANE FOR YOUR JOB. 21 Stirling St , 6330 Albany, Western Australia. Copyright ©2019 Coastal Cranes. All Rights Reserved.